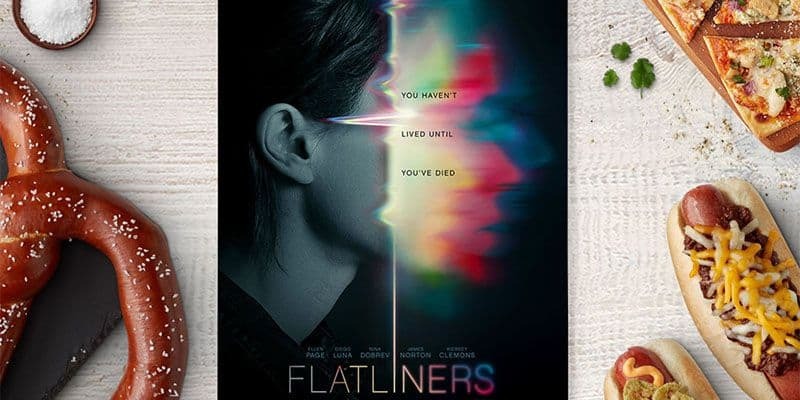 Buy tickets to FLATLINERS on amctheatres.com, and get a $5 Concession Gift Card to use opening weekend (9/28–10/1). Grab your popcorn, grab your soda – it’s time for another movie. Offer valid September 28, 2017 through October 1, 2017 at participating AMC, AMC CLASSIC and AMC DINE-IN Theatre locations.